After its debut last year, we present the WOMEXimizer 16 Extended! 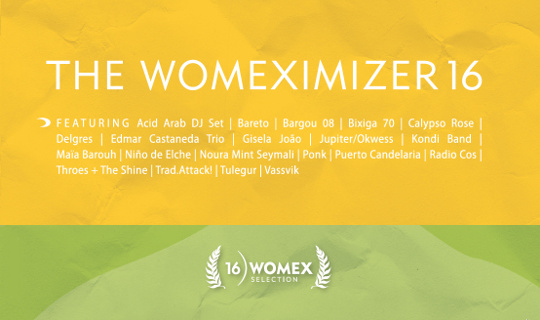 As well as the 20-track WOMEXimizer CD that will be given to all delegates in their WOMEX delegate bag, the extended edition is available to stream straight away, right here. In addition to the 20 tracks present on the physical copy, the WOMEXimizer Extended also contains tracks from an extra 26 WOMEX artists. Take your ears on a global tour!